Pounds lost is SCALP's gain!! Caroline's weight loss is SCALP's gain!! Caroline Ritchie, secretary at Blackhills Specialist Dental Clinic, recently chose SCALP as her chosen charity for her weight loss target. 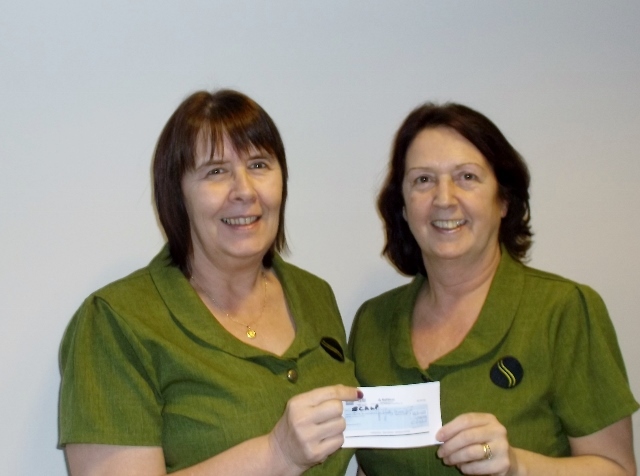 Caroline lost over a stone and collected sponsorship from friends and family totalling £163 and is seen here in the photo presenting the cheque to Trudie Imrie, SCALP Administrator. Great job done in reaching her target and many thanks from SCALP for the donation. Dundee Dental Students did it again! !